How Good is McDonalds? They're Selling Burgers in India. McDonalds (MCD) is probably the best-run public restaurant chain in history. They’ve always done well in terms of employee training, keeping costs low, marketing etc., but recently their big victories have been in overseas expansion. McDonalds recently announced a big India expansion, which is mind-blowing when you consider the fact that India is a vegetarian country. McDonalds has built a primarily veggie-lover’s menu, with only a few exceptions, such as the Chicken Mahraja Mac. The menu in India has absolutely no beef or pork on it, in deference to the local belief that cows are sacred animals. McDonalds ability to adapt to this meat-less culture is extraordinary when you consider the fact that they are best known as the chain that sells billions of hamburgers a year. Just as the company does everywhere they go, they give the Indian people what they want and do it better than almost anyone else. Business for McDonalds India is booming, with 35% sales growth in 2008, and a similar expaction for 2009. According to The Economic Times, McDonalds plans to open around 190 stores by 2015, which would more than double the current store count of 157. They plan to employ over 12,000 people vs. the 5000 employees currently serving the chain around that country. 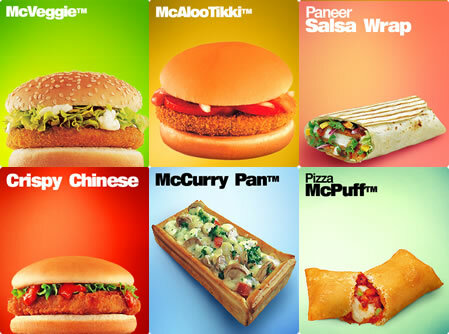 McDonalds India is represented with outlets in 30 different Indian cities, including Mumbai, Delhi and Bangalore. Should the human race one day succeed in colonizing another planet or galaxy, you can count on the fact that there will shortly after be a thriving McDonalds wherever that may be. Full Disclosure: I currently manage accounts that are long MCD. Please do not construe my commentary above as an invitation to buy or sell any securities. Do not invest or trade based on anything you read here. Please visit my Terms & Conditions page for a full disclaimer. can you give information of paper bags that McDonald had replaced instead of plastic bags? December 22, 2009 Who Will Be Morningstar's CEO of the Year?